This packet sows up to 120 feet. 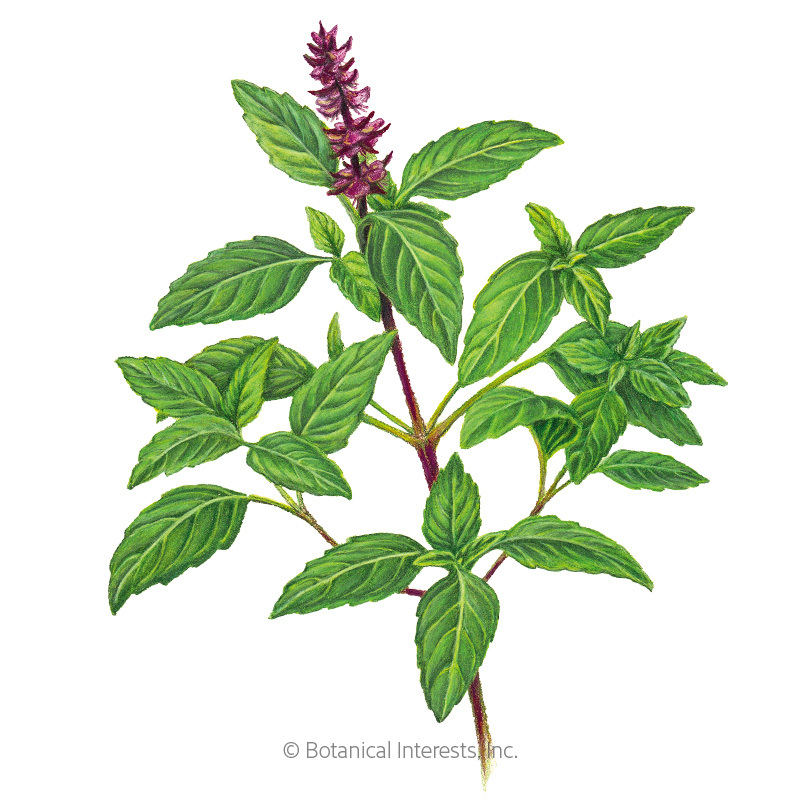 A mild, sweet taste that is perfect for those who love basil's flavor, but shy away from too much herbal spiciness. It's excellent in a variety of dishes, including pesto, pasta, and salads. 'Purple Petra' also makes a lovely pink-tinted vinegar or oil. 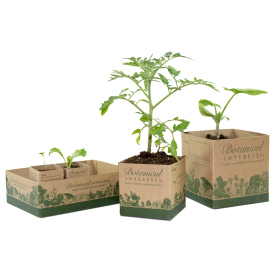 Grow it as a companion plant for your tomatoes or in other areas of the garden as an ornamental. Try pairing it with 'Lemon Drop' French marigold or Bells of Ireland for vibrant contrast. 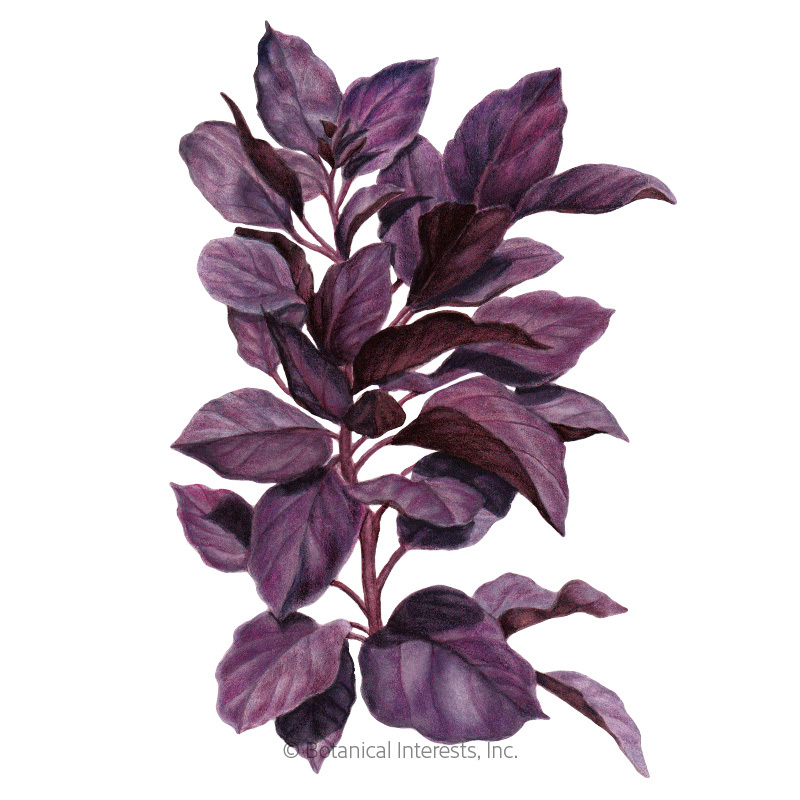 Variety Information: Large, dark reddish-purple glossy leaves with a mild, sweet flavor. Small lavender-blue flower spikes appear in late summer. When to Sow Outside: 1 to 2 weeks after your average last frost date, and when soil temperature is at least 60°F, ideally 65°–85°F. Successive Sowings: We recommend 3 or 4 successive sowings every 3 weeks after initial sowing. 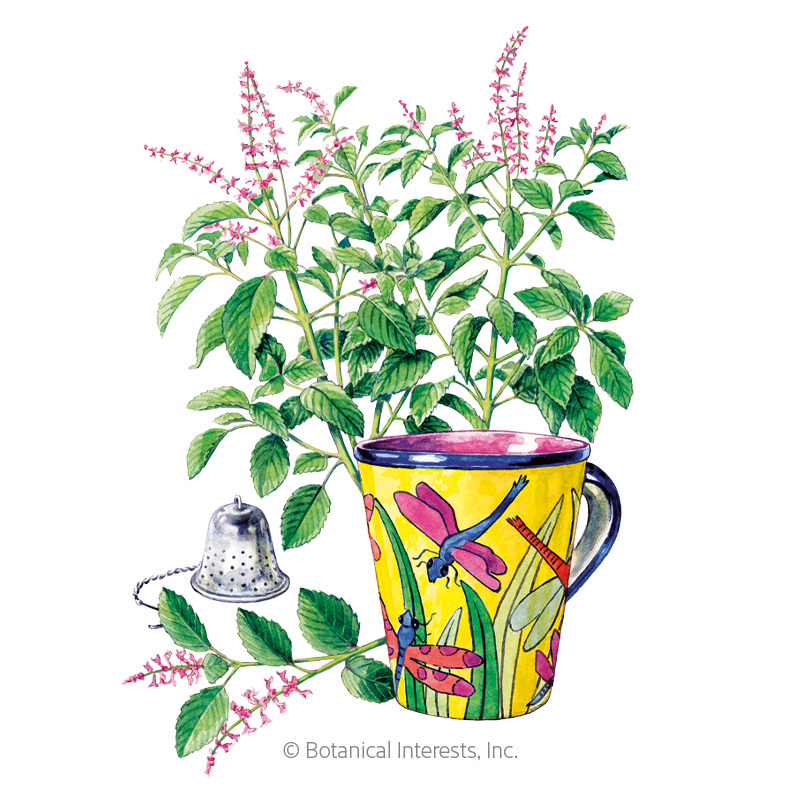 Harvesting: Basil flavor is best before the plant flowers. 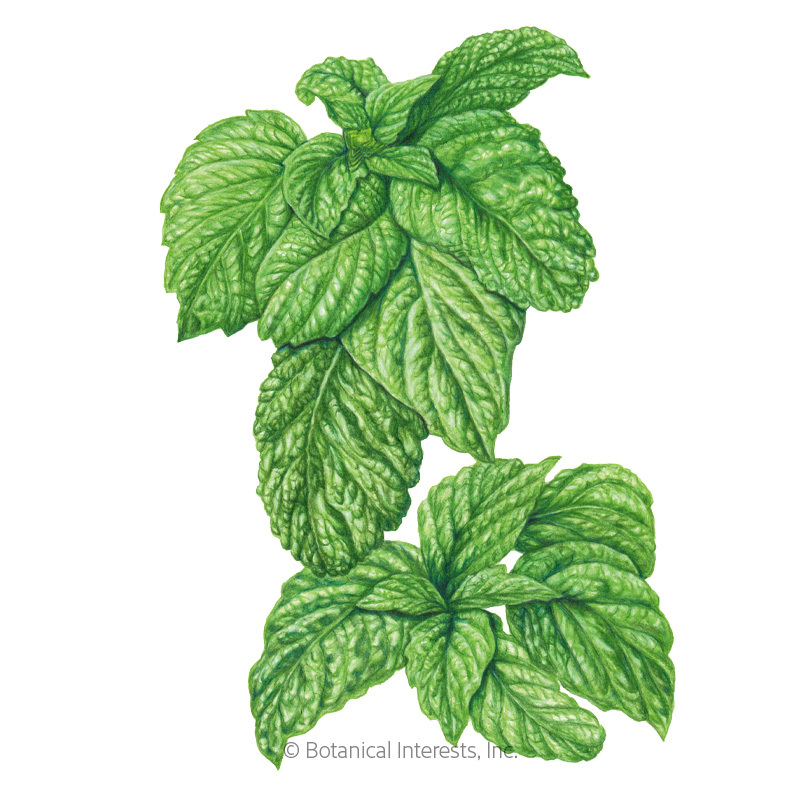 Harvest up to 1/3 of the plant at a time, leaving enough for the plant to be healthy and keep producing. Harvest prior to a frost; basil is very frost sensitive.